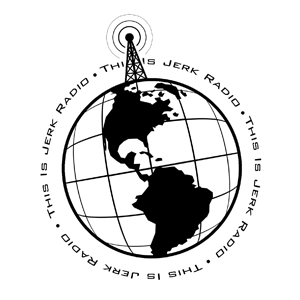 The Jerk Radio second-string cast comes together for a rousing discussion about Issue 13, which is FINALLY out. So we can stop talking about it! Yaaay! Also: Chrono Trigger! EPISODE 19 BONUS CONTENT!! Adam Nelson helps a new cast member, Victor Nuti, set up Skype, and the conversation immediately skews toward video games, specifically Chrono Trigger! Jerk Radio gets ultra-spooky! And not like the traditional sense! Adam, OHak, and Trace babble a little bit about the Halloween event, then things go way off the beaten path and we talk about other video games and game shows(?). Jerk Radio, TeamPsEG.com, and all materials here and within are are © 2008 Adam Nelson, Trace Evans, Oniko Hakubi, Tony Strickland, Dr. Rob Sisco, Sean McCormick, and the rest of the Jerk Radio crew. All rights reserved. Essentially, this is our crap, and you're an idiot if you ever try and pass this off as your own.